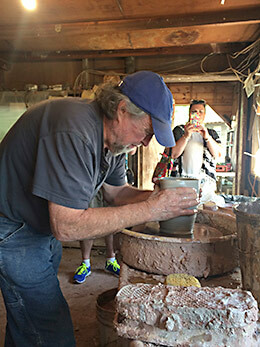 Sixth generation potter Boyd Owens demonstrates the turn of the wheel for a visitor to his studio in Seagrove, North Carolina. 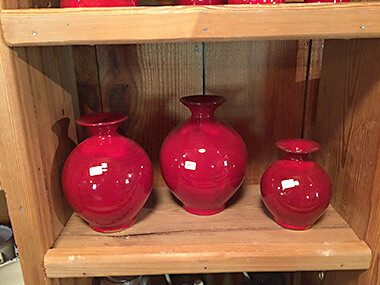 Known for its signature “Owens Red Glaze,” Owens Pottery is the oldest shop in an area that has produced pottery since the 1700s. Travel North Carolina's Pottery Highway Its official name is North Carolina Highway 705 (NC 705) but it is better known as the Pottery Highway. The towns along this 26-mile stretch of road are home to about 100 potteries, many of them clustered around the hamlet of Seagrove, where eighth- and ninth-generation potters produce hand-turned or "hand-thrown" pottery. Pottery-making has flourished in the area since before the American Revolution, and is solidly anchored in the high quality local clay. Thousands of visitors now come annually to watch the craft tradition carried out and to take home locally made pieces. 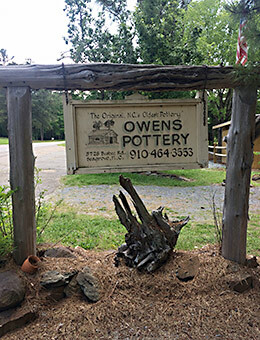 The oldest, continuously operating pottery along the Pottery Highway is Owens Pottery of North Carolina, also known as Original Owens Pottery. 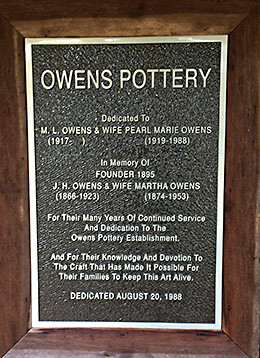 The Owens family has been involved in pottery since the early 1800s. 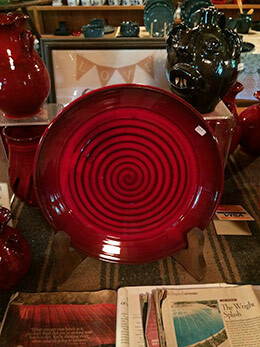 Owens Pottery, founded in 1895 by James H. Owens, is best known for its fire red glazed pottery, developed in 1945 by M.L. Owens. 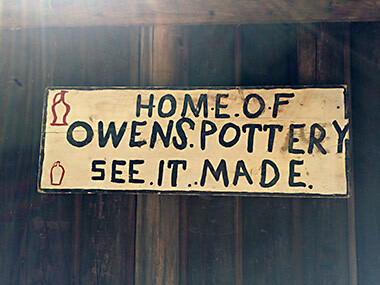 Owens Pottery is currently owned and operated by his son, Boyd Owens, who said, “Our clay is local and processed here at our shop. The clay mills have been used since the early 1900s. All glaze formulas are original and formulated at our shop. By making the glaze here, we are able to control our colors and keep a family tradition alive.” The sales room holds a wide variety of pottery pieces, from practical coffee mugs to dramatic, oversized “Rebecca” pitchers, known for their tall, slim curvature and swooping handles. 3728 Busbee Road, Seagrove, NC. 910-464-353. www.originalowenspottery.com. 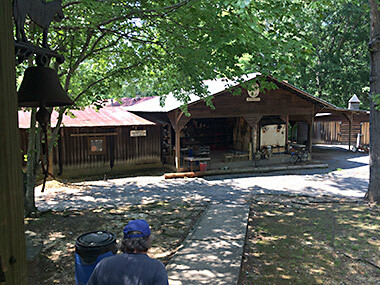 The North Carolina Pottery Center, the only statewide facility in the nation devoted solely to pottery, promotes public awareness and appreciation of the history, heritage, and ongoing tradition of pottery-making in North Carolina through educational programs, public services, collection and preservation, and research and documentation. The center represents all North Carolina potters, from Native Americans and exemplars of the old utilitarian tradition, to the well over 1,000 potters working throughout the state today. 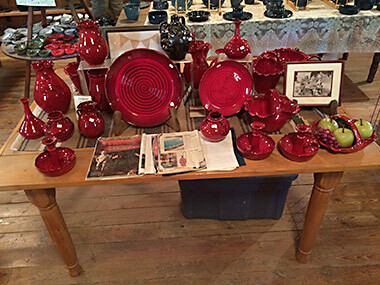 In addition to exhibitions, the North Carolina Pottery Center holds workshops, classes, and other pottery-related events throughout the year. On most Saturdays, visitors can see a pottery throwing demonstration by a local potter. 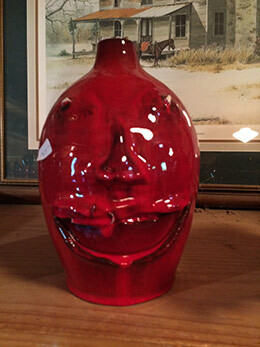 An online exhibit of items from the Center’s permanent collection may be viewed at http://ncpotterycenter.omeka.net/. 233 East Ave. Seagrove, NC. 336-873-8430. http://ncpotterycenter.org. Late each fall, the town is home to the Seagrove Pottery Festival, sponsored by the Museum of Traditional North Carolina Pottery. 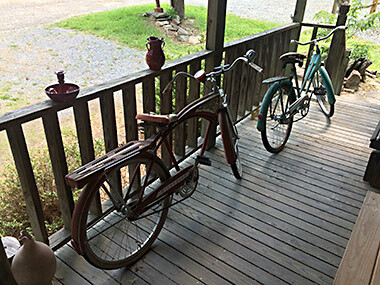 The Festival includes over 120 area potters and traditional craft people that make Seagrove’s colonial cottage industry one of the largest collections in the United States. Usually held the weekend before Thanksgiving, the event includes educational activities for children and adults along with demonstrations from blacksmiths, basket makers, woodcarvers, weavers and, of course, potters. The Southeast Tourism Society recognized the Seagrove Pottery Festival as one of the “Top 20 Events in the Southeast”. Pottery shopping can work up an appetite. Luckily, a great meal is not far away. A short drive north from Seagrove, in the Randolph County seat of Asheboro, is Bia’s Gourmet Hardware. Overseen by Executive Chef and Proprietor Bia Rich, this sophisticated farm-to-table eatery in a repurposed historic hardware store draws on local purveyors to offer dishes such as Elk Strip with cauliflower puree, North Carolina Wild Speckled Trout with steel cut grits, and Wild Boar Tenderloin with pearled barley. Save room for a slice of Apple Cake & Brown Sugar Glaze. Take a leisurely after dinner stroll down Sunset Avenue and check out the historic buildings. 103 Worth St. Asheboro, NC. 336-610-2427. biasgourmethardware.com. AND REMEMBER: Travel is the frivolous part of serious lives, and the serious part of frivolous ones. Anne Sophie Swetchine. Susan Cohn is a member of the North American Travel Journalists Association, Bay Area Travel Writers, and the International Food, Wine & Travel Writers Association. She may be reached at susan@smdailyjournal.com. More of her stories may be found at http://ifwtwa.org/author/susan-cohn.